The Royal Challengers are coming off a tough loss against the Chennai Super Kings where they were completely outplayed by the pitch. Mumbai Indians on the other hand are also coming off a loss against Delhi Capitals where Rishabh Pant batted them out of the game. Hence, both teams will be looking at tightening up and getting a victory under their belt. 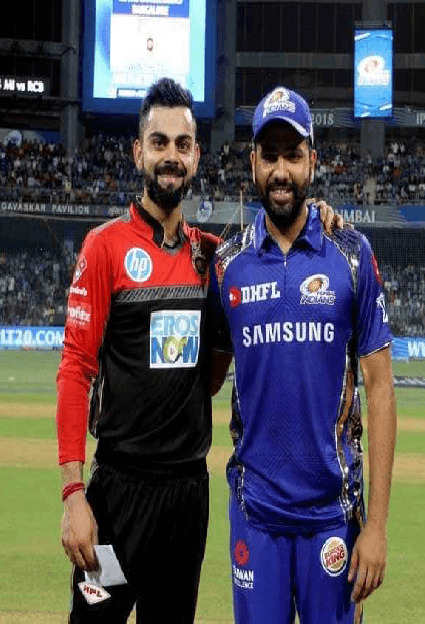 These two teams have played each other 25 times where the Mumbai Indians have won 16 games while the Royal Challengers Bangalore have 9 victories to their name. At Bengaluru, The Mumbai Indians have won 7 out of 9 games. Hence the Mumbai Indians definitely hold the upper hand against the Royal Challengers Bangalore. Virat Kohli, for the Royal Challengers Bangalore, is their best batsman and will be looking to take his side home after the defeat in the first game. In the recent game at Bengaluru against Australia, Kohli seemed to enjoy batting on this surface scoring 72 from just 38 balls. He will be looking to put up a similar performance against the Mumbai Indians. Quinton De Kock, for the Mumbai Indians, has been in great form leading up to the IPL and after missing out against the Delhi Capitals, he will look to get a big score against his old team in familiar conditions. The Royal Challengers Bangalore will not be looking to change too much after just one game, since the side they had picked will this pitch better. Possibly they could look at getting in Tim Southee for Grandhomme and Negi for Siraj. The Mumbai Indians might look at getting someone like Mayank Markande to add some variety in place of Rashik Salam. The Bengaluru pitch in the last few seasons had been very bad which was one of the reasons RCB were not able to win home games. Kohli after the previous game at the venue said that the pitch looks like it has got back to the way it used to be, and if those words are to go by, we could have a high scoring game in hand. Although the records suggest the Mumbai Indians have had the edge, Royal Challengers Bangalore will start as favorites since it looks like they have got a good bowling attack for that pitch and the Mumbai Indians lack in the bowling department with Bumrah being the only major threat. The Mumbai Indians will be looking to get Kohli and AB Devillers out early during the Power play which will set them back. They should to use Mitchell McClenaghan for Virat Kohli who has managed to get him out on many occasions. Similarly, Krunal Pandya has had the better of AB De Villiers and should look to use him right away. The Royal Challengers Bangalore will be looking keeping wickets in hand against the likes of Bumrah and then will be able to target the other bowlers at the back end of the innings. While bowling, Rohit Sharma and Pollard who has had a good record at Bengaluru will be the danger men who they have to restrict. Rohit Sharma is known to have a weakness against leg spinners while pollard is not very confortable against short pitch bowling early on in the innings. Hence they should use the weakness to their advantage.